James Madison has suspended assistant basketball coaches Mike Deane and David Kontaxis for two games each for violating athletics department policy. 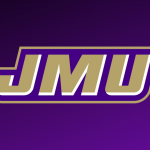 JMU said in a statement that the suspensions are a personnel matter and will remain confidential. Deane, the former head coach at Marquette, Siena, Lamar, and Wagner, has been on the JMU staff since 2012.